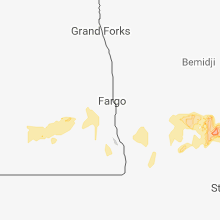 The Ashby, MN area has had 1 report of on-the-ground hail by trained spotters, and has been under severe weather warnings 8 times during the past 12 months. 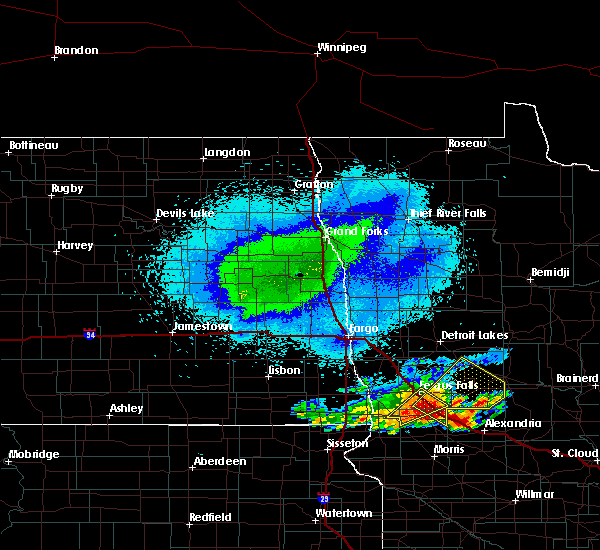 Doppler radar has detected hail at or near Ashby, MN on 40 occasions, including 4 occasions during the past year. 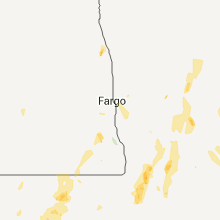 8/26/2018 11:01 AM CDT At 1101 am cdt, severe thunderstorms were located along a line extending from near dunvilla to maplewood state park to near fergus falls to near barrett, moving east at 70 mph (radar indicated). Hazards include 70 mph wind gusts and quarter size hail. Hail damage to vehicles is expected. expect considerable tree damage. Wind damage is also likely to mobile homes, roofs, and outbuildings. 6/16/2018 10:17 PM CDT At 1017 pm cdt, a severe thunderstorm was located near vining, or 23 miles east of fergus falls, moving east at 55 mph (radar indicated). Hazards include 60 mph wind gusts and quarter size hail. Hail damage to vehicles is expected. expect wind damage to roofs, siding, and trees. this severe storm will be near, vining and urbank around 1020 pm cdt. 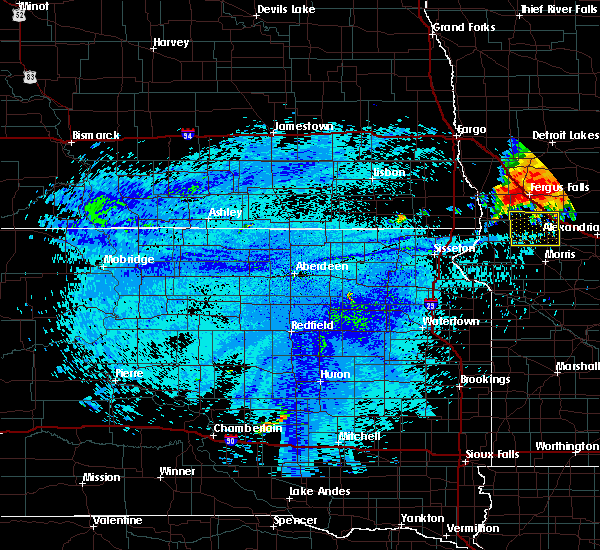 parkers prairie and almora around 1030 pm cdt. This includes interstate 94 in minnesota between mile markers 65 and 80. 6/16/2018 10:05 PM CDT At 1005 pm cdt, a severe thunderstorm was located near battle lake, or 15 miles east of fergus falls, moving east at 55 mph (radar indicated). Hazards include 70 mph wind gusts and half dollar size hail. Hail damage to vehicles is expected. expect considerable tree damage. wind damage is also likely to mobile homes, roofs, and outbuildings. this severe storm will be near, clitherall around 1010 pm cdt. vining around 1015 pm cdt. urbank around 1020 pm cdt. 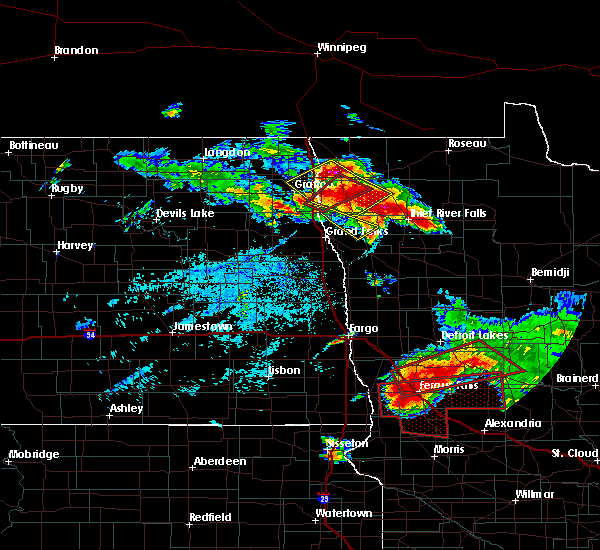 parkers prairie and almora around 1025 pm cdt. wrightstown around 1030 pm cdt. This includes interstate 94 in minnesota between mile markers 56 and 80. 6/16/2018 9:40 PM CDT At 940 pm cdt, a severe thunderstorm was located over fergus falls, moving east at 50 mph (radar indicated). Hazards include 70 mph wind gusts and half dollar size hail. Hail damage to vehicles is expected. expect considerable tree damage. wind damage is also likely to mobile homes, roofs, and outbuildings. this severe thunderstorm will be near, dalton around 950 pm cdt. underwood around 955 pm cdt. battle lake and clitherall around 1005 pm cdt. 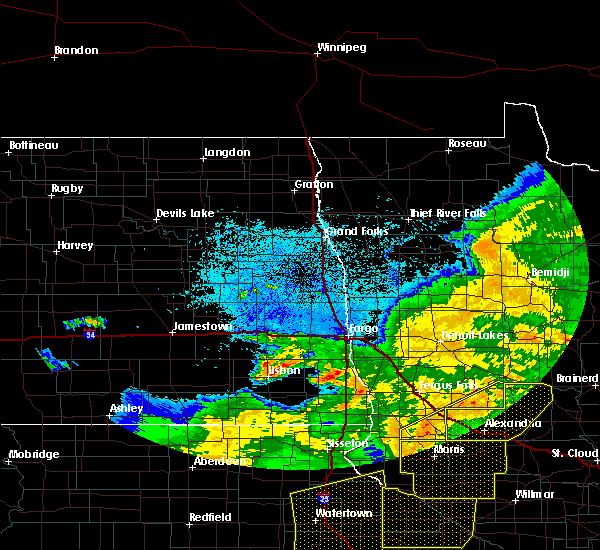 vining and urbank around 1015 pm cdt. 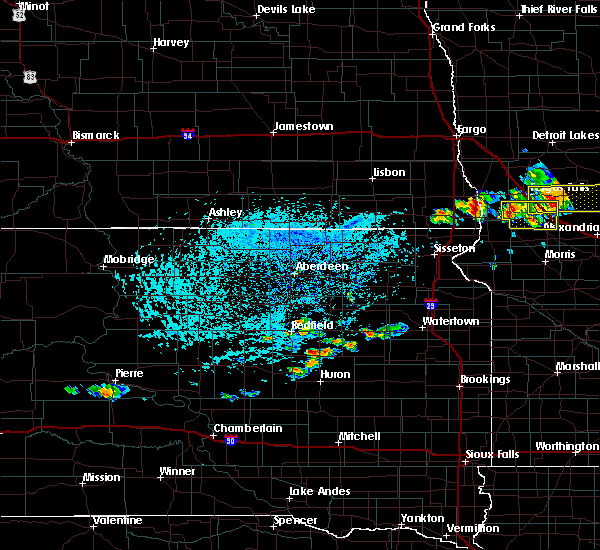 parkers prairie and almora around 1025 pm cdt. 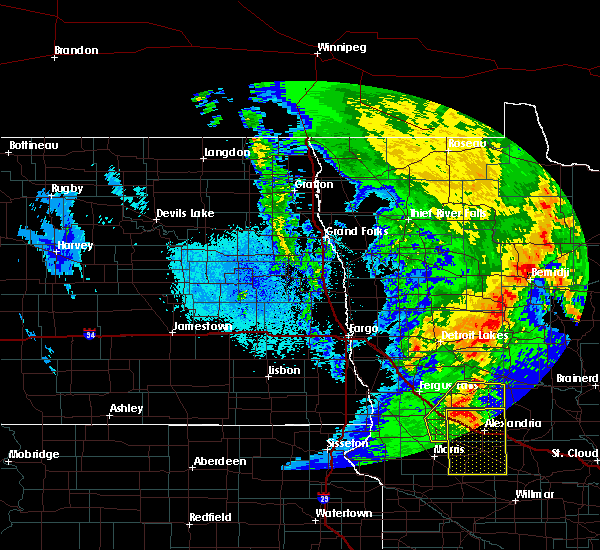 other locations impacted by this severe thunderstorm include fergus falls airport. this includes interstate 94 in minnesota between mile markers 46 and 80. A tornado watch remains in effect until midnight cdt for west central minnesota. 6/6/2018 2:33 AM CDT At 233 am cdt, severe thunderstorms were located along a line extending from eagle bend to near holmes, moving east at 50 mph (radar indicated). Hazards include 60 mph wind gusts and quarter size hail. Hail damage to vehicles is expected. expect wind damage to roofs, siding, and trees. 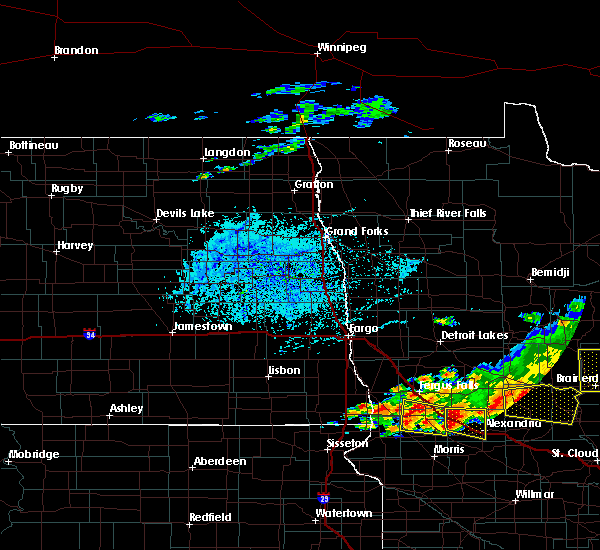 these severe thunderstorms will remain over mainly rural areas of southeastern otter tail and grant counties. This includes interstate 94 in minnesota between mile markers 75 and 80. 6/6/2018 2:13 AM CDT At 212 am cdt, severe thunderstorms were located along a line extending from near almora to near barrett, moving east at 50 mph (radar indicated). Hazards include 60 mph wind gusts and quarter size hail. Hail damage to vehicles is expected. expect wind damage to roofs, siding, and trees. 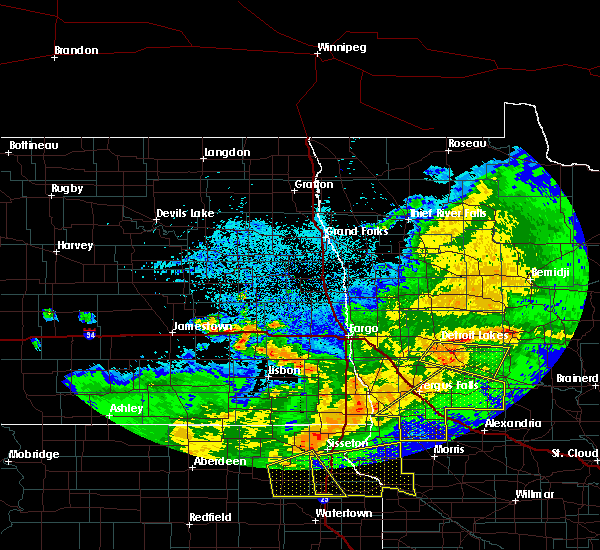 severe thunderstorms will be near, parkers prairie and almora around 215 am cdt. 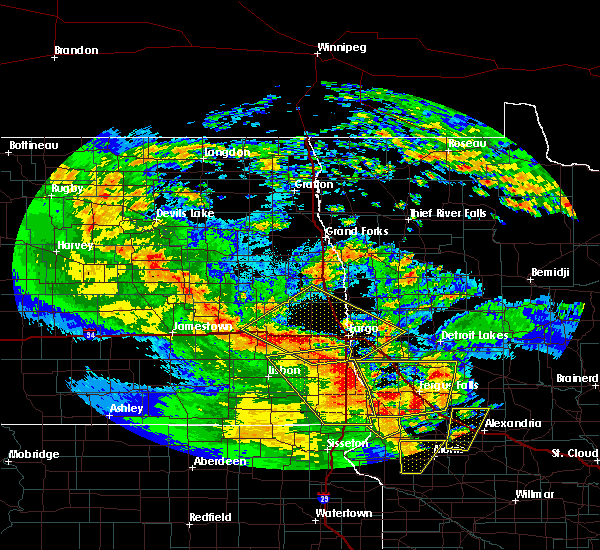 wrightstown around 225 am cdt. This includes interstate 94 in minnesota between mile markers 69 and 80. 6/6/2018 2:06 AM CDT At 205 am cdt, severe thunderstorms were located along a line extending from vining to near norcross, moving east at 70 mph (public). Hazards include 60 mph wind gusts and quarter size hail. Hail damage to vehicles is expected. expect wind damage to roofs, siding, and trees. locations impacted include, fergus falls, ottertail lake, elbow lake, parkers prairie, battle lake, henning and hoffman. This includes interstate 94 in minnesota between mile markers 58 and 80. 6/6/2018 1:49 AM CDT At 149 am cdt, severe thunderstorms were located along a line extending from near underwood to near white rock, moving east at 70 mph (radar indicated). Hazards include 60 mph wind gusts and quarter size hail. Hail damage to vehicles is expected. Expect wind damage to roofs, siding, and trees. 9/22/2017 3:46 AM CDT At 345 am cdt, severe thunderstorms were located along a line extending from near battle lake to near leaf valley, moving northeast at 55 mph (radar indicated). Hazards include 60 mph wind gusts and half dollar size hail. Hail damage to vehicles is expected. expect wind damage to roofs, siding, and trees. locations impacted include, ottertail lake, new york mills, parkers prairie, battle lake, henning, ottertail and ashby. This includes interstate 94 in minnesota between mile markers 68 and 80. 9/22/2017 3:27 AM CDT At 327 am cdt, severe thunderstorms were located along a line extending from 6 miles west of dalton to near brandon, moving northeast at 45 mph (radar indicated). Hazards include 60 mph wind gusts and half dollar size hail. Hail damage to vehicles is expected. Expect wind damage to roofs, siding, and trees. 9/20/2017 12:23 AM CDT The severe thunderstorm warning for southeastern otter tail and eastern grant counties will expire at 1230 am cdt, the storm which prompted the warning has weakened below severe limits, and no longer pose an immediate threat to life or property. therefore the warning will be allowed to expire. a severe thunderstorm watch remains in effect until 500 am cdt for central and west central minnesota. 9/20/2017 12:12 AM CDT At 1211 am cdt, a severe thunderstorm was located over vining, or 27 miles east of fergus falls, moving northeast at 55 mph (radar indicated). Hazards include 60 mph wind gusts. Expect damage to roofs, siding, and trees. locations impacted include, parkers prairie, battle lake, henning, hoffman, ashby and barrett. This includes interstate 94 in minnesota between mile markers 71 and 80. 7/17/2017 6:00 PM CDT At 559 pm cdt, a severe thunderstorm was located near dalton, or 13 miles southeast of fergus falls, moving east at 25 mph (radar indicated). Hazards include 60 mph wind gusts and quarter size hail. Hail damage to vehicles is expected. expect wind damage to roofs, siding, and trees. this severe storm will be near, ashby around 610 pm cdt. 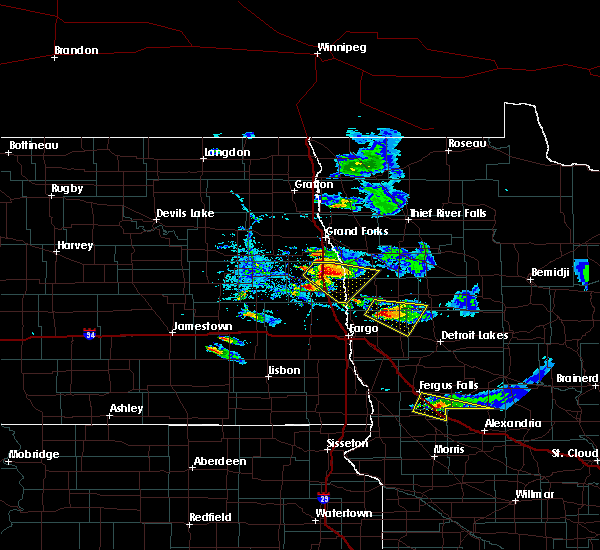 erdahl around 615 pm cdt. This includes interstate 94 in minnesota between mile markers 68 and 80. 7/17/2017 5:30 PM CDT At 530 pm cdt, a severe thunderstorm was located near wendell, or 13 miles south of fergus falls, moving east at 25 mph (radar indicated). Hazards include ping pong ball size hail and 60 mph wind gusts. People and animals outdoors will be injured. expect hail damage to roofs, siding, windows, and vehicles. expect wind damage to roofs, siding, and trees. this severe thunderstorm will be near, wendell around 535 pm cdt. elbow lake around 550 pm cdt. ashby and barrett around 605 pm cdt. 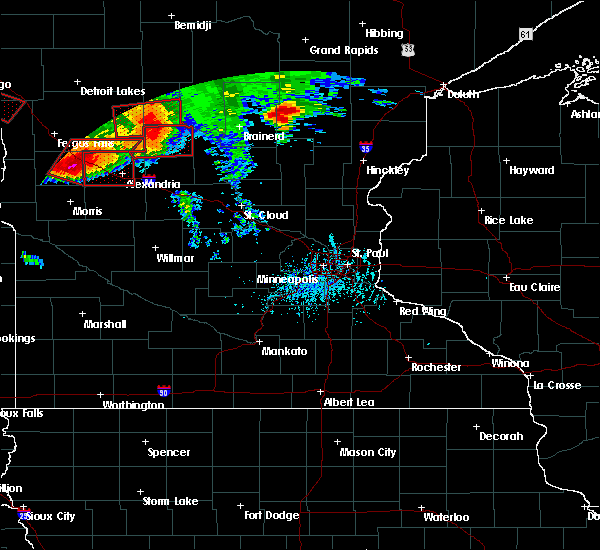 erdahl around 610 pm cdt. This includes interstate 94 in minnesota between mile markers 67 and 80. 7/17/2017 5:15 PM CDT Ping Pong Ball sized hail reported 2.4 miles NE of Ashby, MN, lots of quarter to ping pong ball sized hail near interstate 94 in western pelican lake township. 7/17/2017 5:03 PM CDT At 502 pm cdt, a severe thunderstorm was located over dalton, or 10 miles southeast of fergus falls, moving east at 30 mph (radar indicated). Hazards include ping pong ball size hail and 60 mph wind gusts. People and animals outdoors will be injured. expect hail damage to roofs, siding, windows, and vehicles. expect wind damage to roofs, siding, and trees. this severe storm will be near, dalton around 505 pm cdt. ashby around 515 pm cdt. This includes interstate 94 in minnesota between mile markers 62 and 80. 7/17/2017 4:34 PM CDT At 433 pm cdt, a severe thunderstorm was located near western, or 13 miles southwest of fergus falls, moving east at 30 mph (radar indicated). Hazards include 60 mph wind gusts and quarter size hail. Hail damage to vehicles is expected. expect wind damage to roofs, siding, and trees. this severe thunderstorm will be near, western around 440 pm cdt. wendell around 445 pm cdt. dalton around 510 pm cdt. ashby around 515 pm cdt. This includes interstate 94 in minnesota between mile markers 62 and 80. 7/17/2017 4:24 PM CDT The national weather service in grand forks has issued a * severe thunderstorm warning for. southern otter tail county in west central minnesota. north central grant county in west central minnesota. until 530 pm cdt. At 423 pm cdt, a severe thunderstorm was located near dalton, or. 7/11/2017 10:39 PM CDT The severe thunderstorm warning for southeastern otter tail and northeastern grant counties will expire at 1045 pm cdt, the storm which prompted the warning has moved out of the area. therefore the warning will be allowed to expire. a tornado watch remains in effect until 1100 pm cdt for central and west central minnesota. 7/11/2017 10:23 PM CDT At 1022 pm cdt, a severe thunderstorm was located near ottertail, or 29 miles east of fergus falls, moving east at 45 mph (public). Hazards include ping pong ball size hail and 60 mph wind gusts. People and animals outdoors will be injured. expect hail damage to roofs, siding, windows, and vehicles. expect wind damage to roofs, siding, and trees. this severe storm will be near, deer creek around 1030 pm cdt. bluffton around 1040 pm cdt. 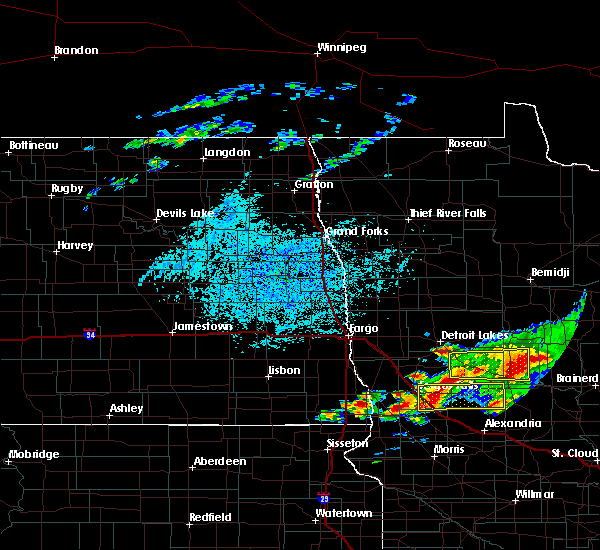 wadena around 1045 pm cdt. this includes interstate 94 in minnesota between mile markers 66 and 74. A tornado watch remains in effect until 1100 pm cdt for central and west central minnesota. 7/11/2017 9:52 PM CDT At 952 pm cdt, a severe thunderstorm was located near fergus falls, moving east at 40 mph (public). Hazards include ping pong ball size hail and 60 mph wind gusts. People and animals outdoors will be injured. expect hail damage to roofs, siding, windows, and vehicles. expect wind damage to roofs, siding, and trees. this severe storm will be near, dalton around 955 pm cdt. underwood around 1005 pm cdt. phelps around 1010 pm cdt. battle lake, ottertail lake and glendalough state park around 1015 pm cdt. clitherall around 1020 pm cdt. this includes interstate 94 in minnesota between mile markers 51 and 52, and between mile markers 55 and 74. A tornado watch remains in effect until 1100 pm cdt for central and west central minnesota. 7/11/2017 9:43 PM CDT At 942 pm cdt, a severe thunderstorm was located near fergus falls, moving east at 40 mph (radar indicated). Hazards include 60 mph wind gusts and half dollar size hail. Hail damage to vehicles is expected. expect wind damage to roofs, siding, and trees. 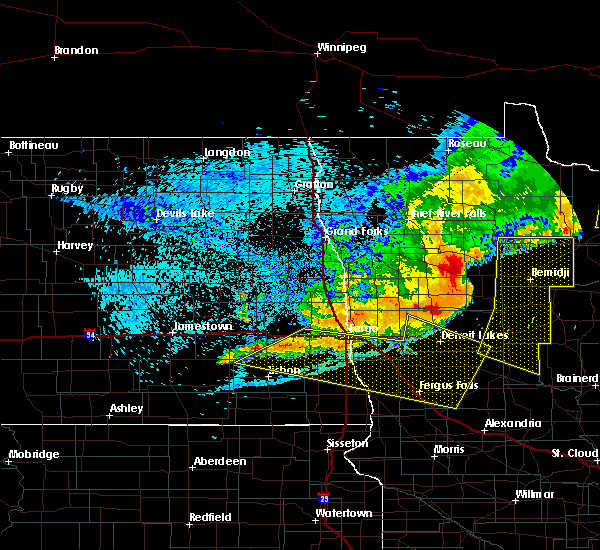 this severe thunderstorm will be near, underwood around 950 pm cdt. phelps around 955 pm cdt. ottertail lake and battle lake around 1000 pm cdt. clitherall and glendalough state park around 1005 pm cdt. vining around 1010 pm cdt. 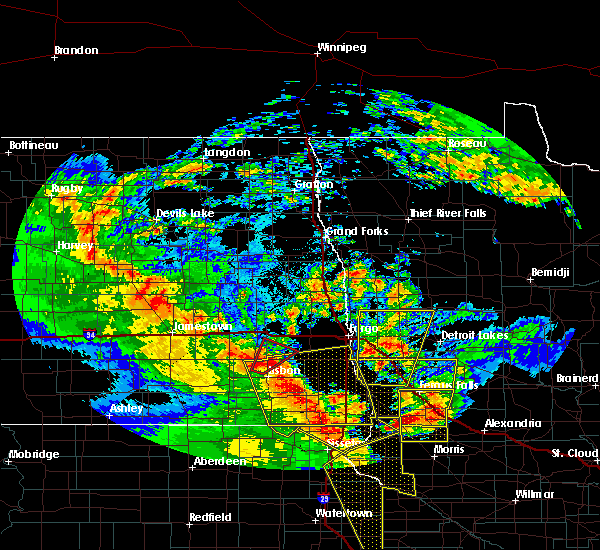 other locations impacted by this severe thunderstorm include fergus falls airport. this includes interstate 94 in minnesota between mile markers 51 and 74. A tornado watch remains in effect until 1100 pm cdt for central and west central minnesota. 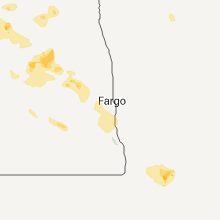 7/11/2017 9:39 PM CDT At 939 pm cdt, a severe thunderstorm was located over elbow lake, or 19 miles south of fergus falls, moving northeast at 35 mph (radar indicated). Hazards include 60 mph wind gusts and half dollar size hail. Hail damage to vehicles is expected. expect wind damage to roofs, siding, and trees. this severe storm will be near, erdahl around 945 pm cdt. ashby around 950 pm cdt. this includes interstate 94 in minnesota between mile markers 72 and 80. A tornado watch remains in effect until 1100 pm cdt for west central minnesota. 7/11/2017 9:25 PM CDT At 924 pm cdt, a severe thunderstorm was located near wendell, or 20 miles northeast of wheaton, moving northeast at 30 mph (radar indicated). Hazards include 60 mph wind gusts and half dollar size hail. Hail damage to vehicles is expected. expect wind damage to roofs, siding, and trees. 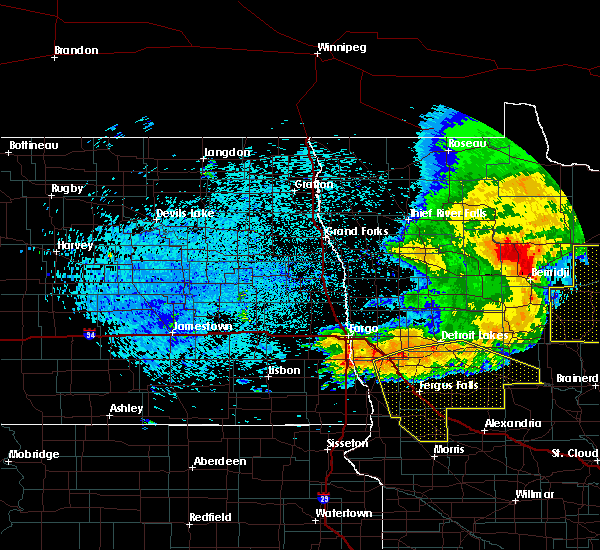 this severe thunderstorm will be near, wendell around 930 pm cdt. elbow lake around 940 pm cdt. 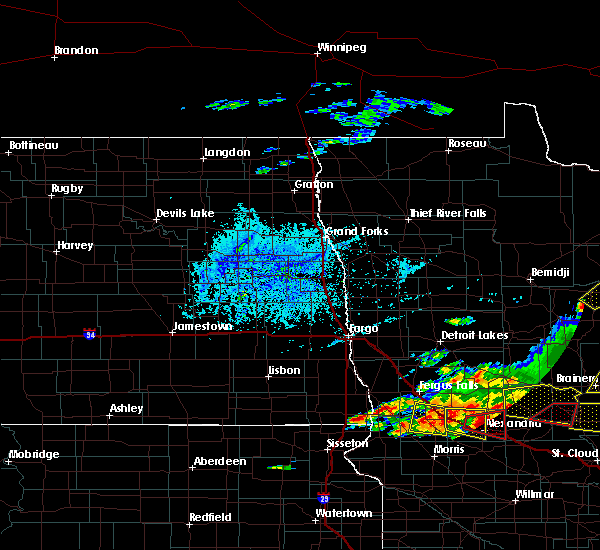 erdahl around 950 pm cdt. ashby around 955 pm cdt. this includes interstate 94 in minnesota between mile markers 72 and 80. A tornado watch remains in effect until 1100 pm cdt for west central minnesota. 6/13/2017 9:32 PM CDT At 931 pm cdt, severe thunderstorms were located along a line extending from near muskoda to 6 miles north of melby, moving east at 55 mph (public. public reported tree limbs down 2 w urbank). Hazards include 70 mph wind gusts and penny size hail. Expect considerable tree damage. damage is likely to mobile homes, roofs, and outbuildings. these severe storms will be near, clitherall around 935 pm cdt. 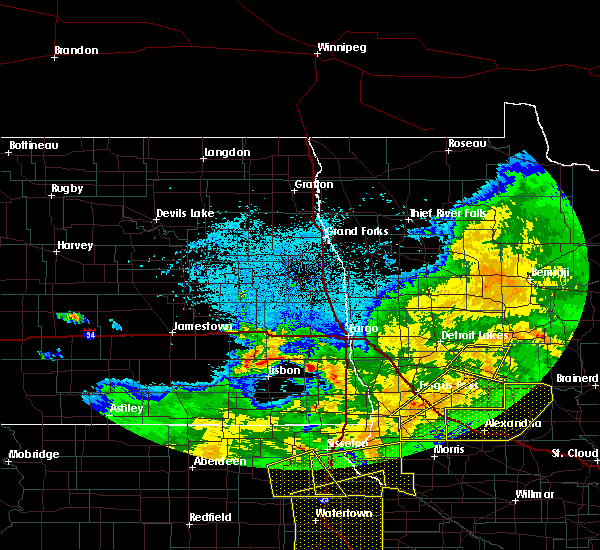 vining and urbank around 940 pm cdt. 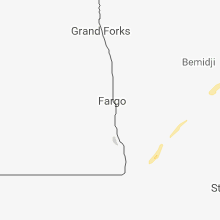 this includes the following highways, interstate 29 between mile markers 44 and 51. Interstate 94 in minnesota between mile markers 13 and 73. 6/13/2017 9:10 PM CDT At 910 pm cdt, severe thunderstorms were located along a line extending from rustad to near wendell, moving east at 70 mph (public. at 909 pm, the public reported estimated 70 mph winds east of breckenridge). Hazards include 70 mph wind gusts and penny size hail. Expect considerable tree damage. damage is likely to mobile homes, roofs, and outbuildings. these severe storms will be near, dalton and ashby around 920 pm cdt. 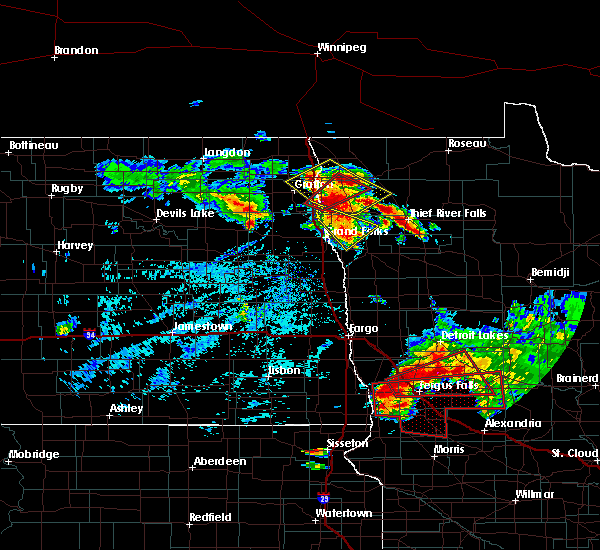 hawley, clitherall and battle lake around 930 pm cdt. 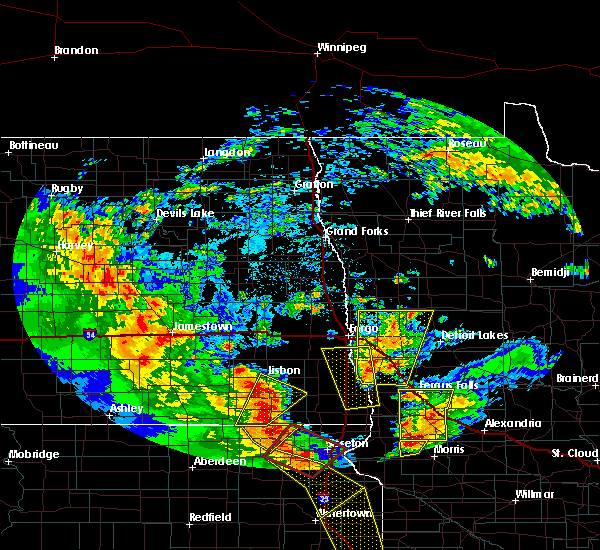 vining, dale and urbank around 935 pm cdt. 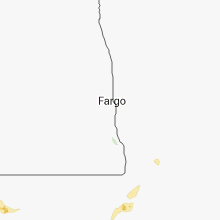 this includes the following highways, interstate 29 between mile markers 44 and 51. Interstate 94 in minnesota between mile markers 13 and 73. 6/13/2017 8:54 PM CDT At 854 pm cdt, severe thunderstorms were located along a line extending from near kindred to near white rock, moving northeast at 55 mph (radar indicated). Hazards include 60 mph wind gusts and penny size hail. Expect damage to roofs, siding, and trees. 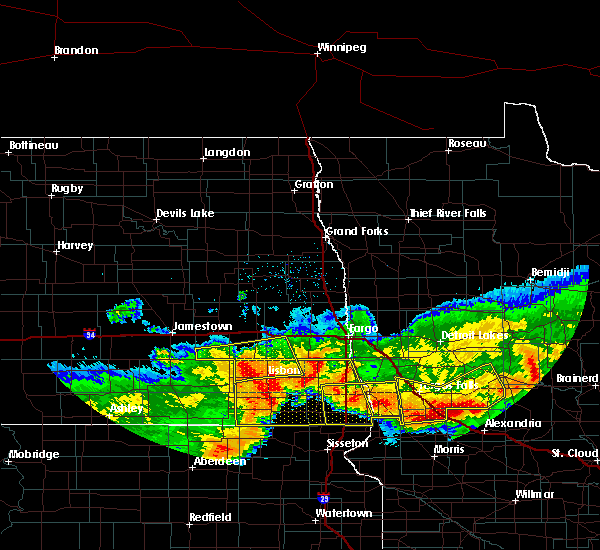 severe thunderstorms will be near, tenney around 900 pm cdt. oxbow, nashua and hickson around 905 pm cdt. baker around 915 pm cdt. 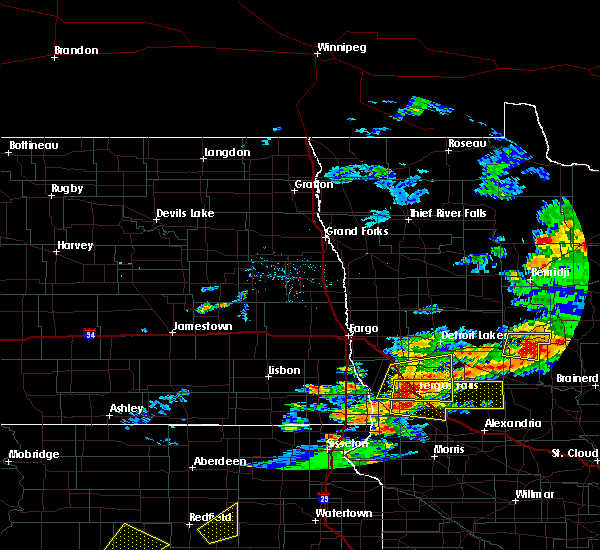 downer around 920 pm cdt. dalton around 925 pm cdt. 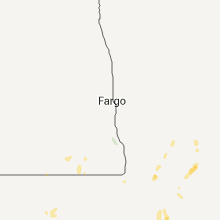 this includes the following highways, interstate 29 between mile markers 28 and 51. Interstate 94 in minnesota between mile markers 12 and 73. 6/13/2017 8:51 PM CDT At 851 pm cdt, a severe thunderstorm was located over foxhome, or 12 miles east of wahpeton, moving north at 50 mph (radar indicated). Hazards include 60 mph wind gusts and penny size hail. Expect damage to roofs, siding, and trees. this severe storm will be near, carlisle around 900 pm cdt. 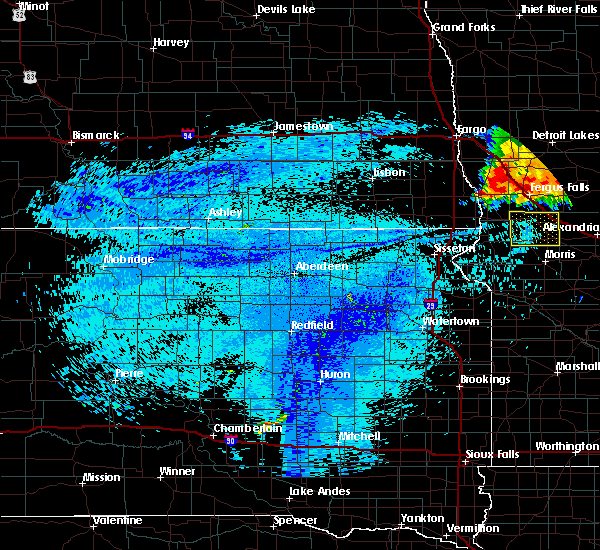 rothsay around 910 pm cdt. lawndale around 915 pm cdt. This includes interstate 94 in minnesota between mile markers 29 and 73. 6/13/2017 8:27 PM CDT At 827 pm cdt, a severe thunderstorm was located near charlesville, or 19 miles northeast of wheaton, moving north at 40 mph (radar indicated). Hazards include 60 mph wind gusts and quarter size hail. Hail damage to vehicles is expected. expect wind damage to roofs, siding, and trees. this severe thunderstorm will be near, wendell and nashua around 830 pm cdt. western around 845 pm cdt. 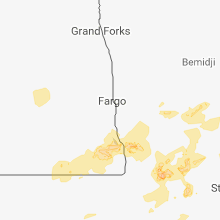 foxhome around 900 pm cdt. carlisle around 905 pm cdt. elizabeth around 910 pm cdt. This includes interstate 94 in minnesota between mile markers 28 and 80. 6/13/2017 7:57 PM CDT At 757 pm cdt, a severe thunderstorm was located near herman, or 17 miles northwest of morris, moving north at 55 mph (radar indicated). Hazards include 60 mph wind gusts and quarter size hail. Hail damage to vehicles is expected. expect wind damage to roofs, siding, and trees. this severe storm will be near, norcross around 800 pm cdt. barrett around 805 pm cdt. elbow lake around 810 pm cdt. 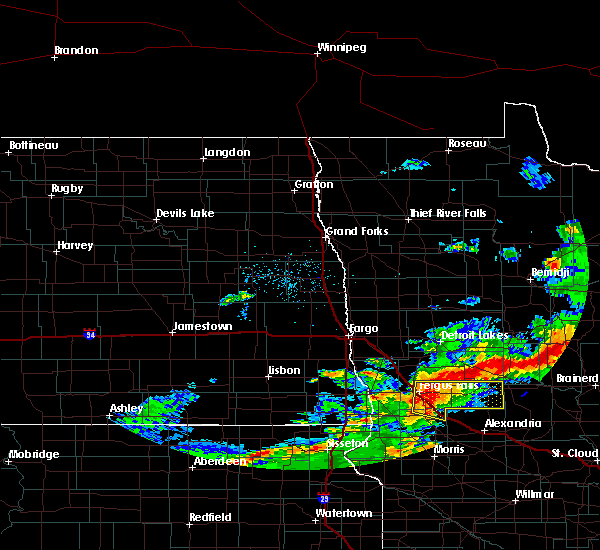 wendell around 815 pm cdt. dalton around 825 pm cdt. This includes interstate 94 in minnesota between mile markers 53 and 80. 6/13/2017 7:40 PM CDT At 739 pm cdt, a severe thunderstorm was located near herman, or 16 miles northwest of morris, moving north at 50 mph (radar indicated). Hazards include 60 mph wind gusts and quarter size hail. Hail damage to vehicles is expected. expect wind damage to roofs, siding, and trees. this severe thunderstorm will be near, norcross around 745 pm cdt. wendell and elbow lake around 800 pm cdt. western around 810 pm cdt. dalton around 815 pm cdt. fergus falls and underwood around 825 pm cdt. This includes interstate 94 in minnesota between mile markers 53 and 80. 8/27/2016 6:22 PM CDT The severe thunderstorm warning for south central otter tail and northeastern grant counties will expire at 630 pm cdt, the storm which prompted the warning has weakened below severe limits, and has exited the warned area. therefore, the warning will be allowed to expire. 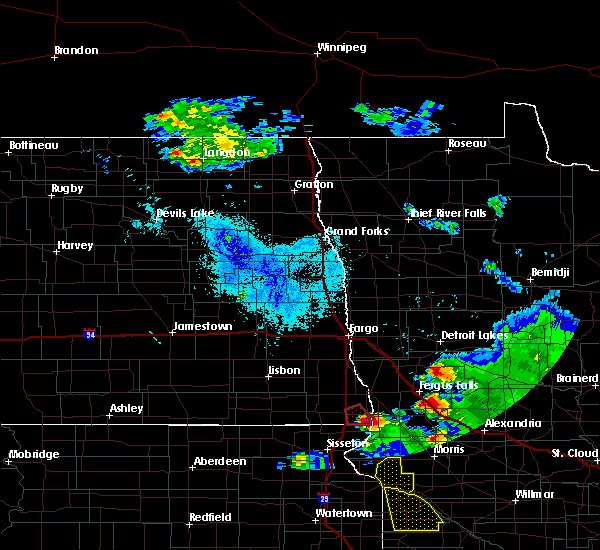 a severe thunderstorm watch remains in effect until 1000 pm cdt for west central minnesota. 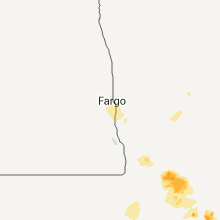 8/27/2016 5:56 PM CDT At 556 pm cdt, a severe thunderstorm was located near melby, or 21 miles southeast of fergus falls, moving southeast at 30 mph (radar indicated). Hazards include quarter size hail. Damage to vehicles is expected. This severe storm will be near, urbank around 610 pm cdt. 8/27/2016 5:33 PM CDT At 533 pm cdt, a severe thunderstorm was located over dalton, or 9 miles southeast of fergus falls, moving east at 35 mph (radar indicated). Hazards include quarter size hail. Damage to vehicles is expected. this severe thunderstorm will be near, dalton around 535 pm cdt. ashby around 545 pm cdt. 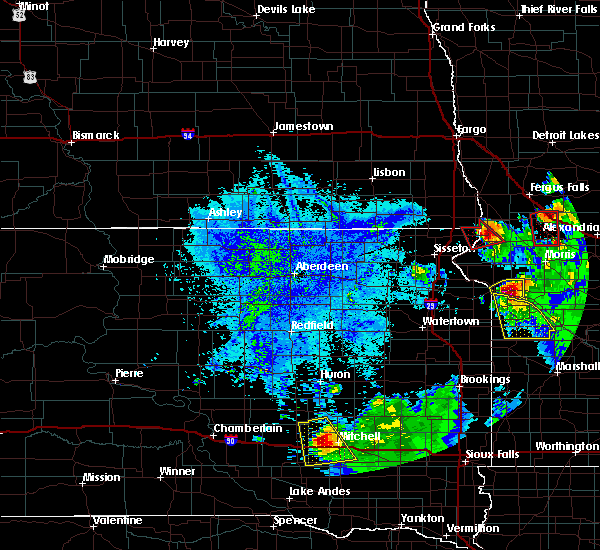 urbank around 610 pm cdt. This includes interstate 94 in minnesota between mile markers 59 and 80. 8/10/2016 4:55 AM CDT The severe thunderstorm warning for otter tail and northern grant counties will expire at 500 am cdt, the storms which prompted the warning have weakened below severe limits, and have exited the warned area. therefore, the warning will be allowed to expire. however heavy rain is still possible with these thunderstorms. 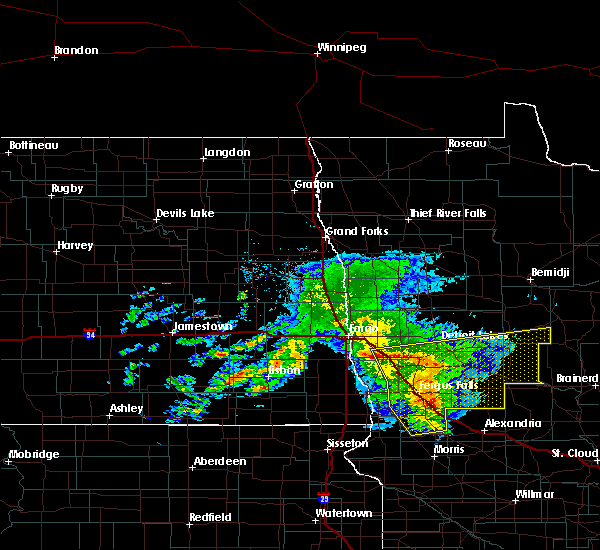 a severe thunderstorm watch remains in effect until 600 am cdt for west central minnesota. 8/10/2016 4:30 AM CDT At 428 am cdt, severe thunderstorms were located along a line extending from maplewood state park to 7 miles northwest of urbank to near holmes, moving east at 40 mph (radar indicated). Hazards include 70 mph wind gusts and penny size hail. Expect considerable tree damage. damage is likely to mobile homes, roofs, and outbuildings. 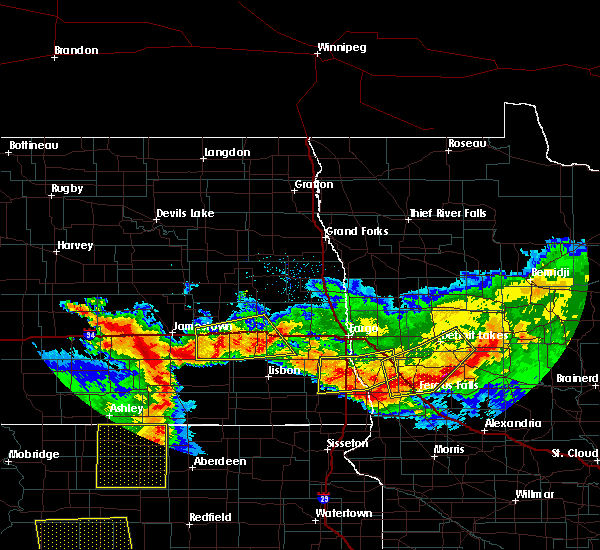 these severe storms will be near, clitherall around 430 am cdt. urbank around 435 am cdt. big mcdonald lake and vining around 440 am cdt. 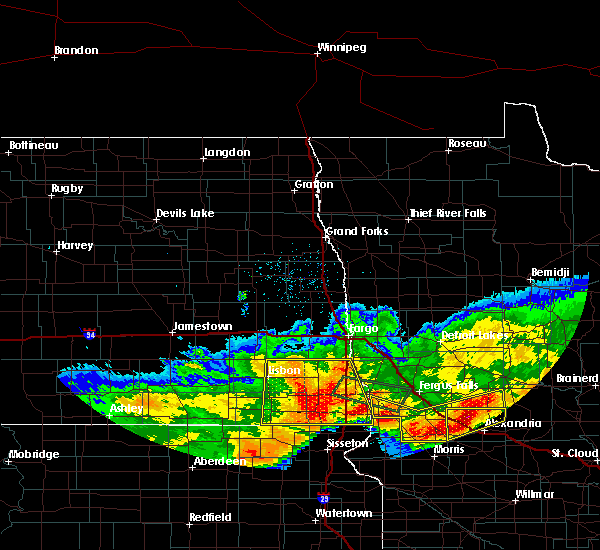 dent around 445 am cdt. 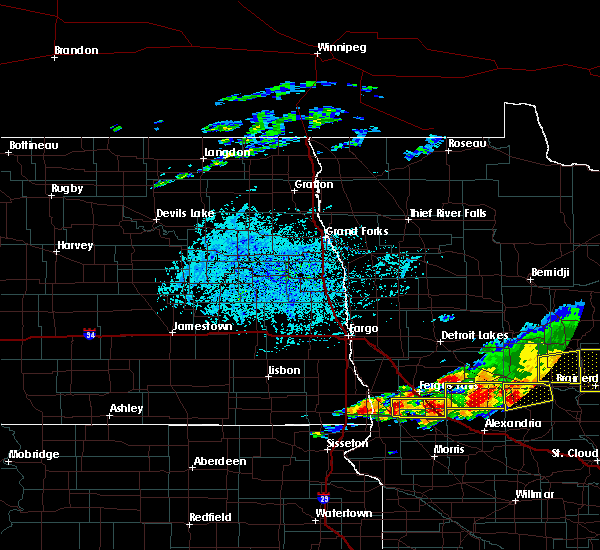 parkers prairie, almora and richville around 450 am cdt. Also includes interstate 94 in minnesota between mile markers 39 and 79. 8/10/2016 3:55 AM CDT At 355 am cdt, severe thunderstorms were located along a line extending from 7 miles west of rothsay to near wendell to herman, moving east at 50 mph (radar indicated). Hazards include 70 mph wind gusts and penny size hail. Expect considerable tree damage. damage is likely to mobile homes, roofs, and outbuildings. 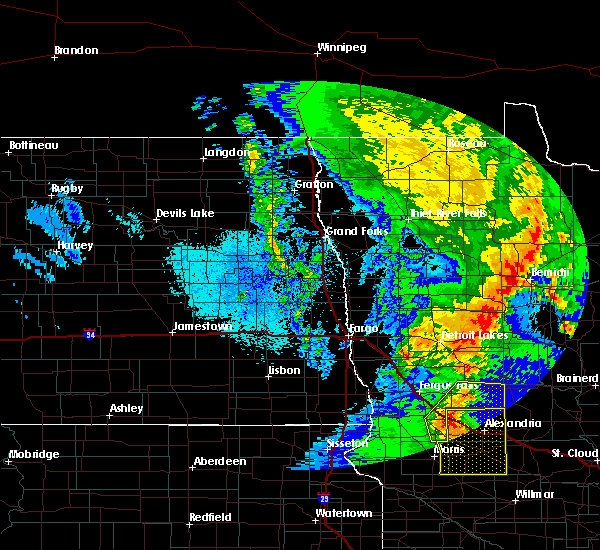 severe thunderstorms will be near, wendell around 400 am cdt. elbow lake around 405 am cdt. 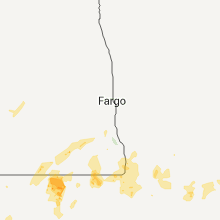 dalton, barrett and elizabeth around 410 am cdt. erhard, hoffman and ashby around 415 am cdt. maplewood state park and edwards around 420 am cdt. Also includes interstate 94 in minnesota between mile markers 37 and 80. 7/21/2016 2:58 AM CDT The severe thunderstorm warning for grant county will expire at 300 am cdt, the storms which prompted the warning have weakened below severe limits, and no longer pose an immediate threat to life or property. therefore, the warning will be allowed to expire. 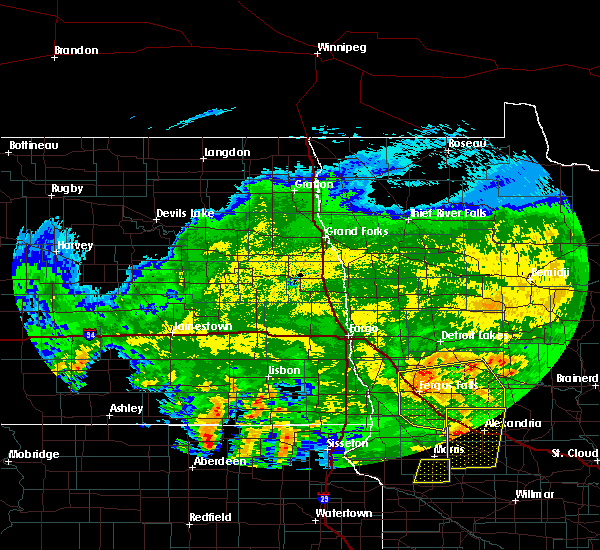 a severe thunderstorm watch remains in effect until 300 am cdt for west central minnesota. 7/21/2016 2:38 AM CDT At 238 am cdt, severe thunderstorms were located along a line extending from hoffman to near norcross, moving south at 30 mph (radar indicated). Hazards include 60 mph wind gusts and nickel size hail. Expect damage to roofs. siding. and trees. 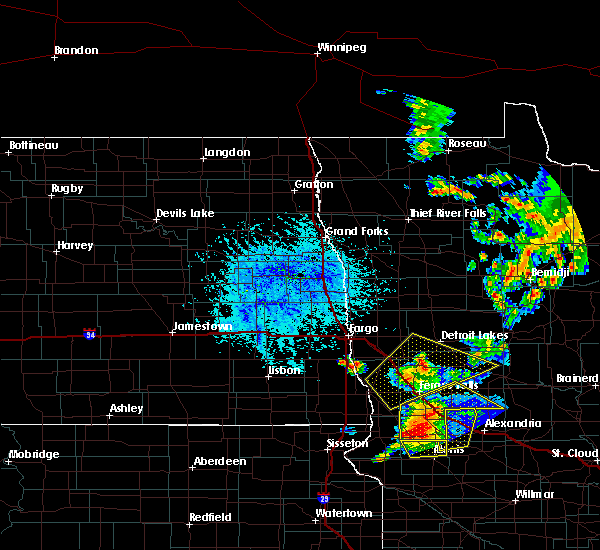 these severe storms will be near, hoffman around 240 am cdt. Also includes interstate 94 in minnesota between mile markers 72 and 80. 7/21/2016 2:14 AM CDT At 214 am cdt, severe thunderstorms were located along a line extending from near erdahl to charlesville, moving southeast at 55 mph (radar indicated). Hazards include 60 mph wind gusts and nickel size hail. Expect damage to roofs. siding. and trees. 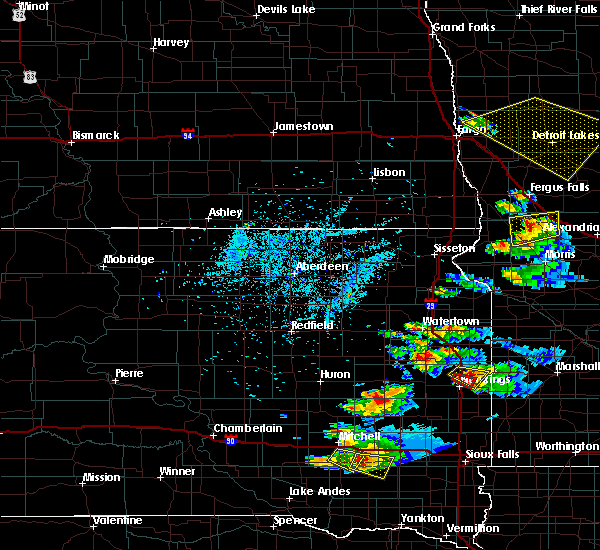 severe thunderstorms will be near, barrett and erdahl around 215 am cdt. hoffman around 220 am cdt. herman around 225 am cdt. Also includes interstate 94 in minnesota between mile markers 72 and 80. 7/21/2016 1:49 AM CDT At 148 am cdt, severe thunderstorms were located along a line extending from near motley to 6 miles south of wrightstown to near campbell, moving southeast at 45 mph (radar indicated). Hazards include 60 mph wind gusts and penny size hail. Expect damage to roofs. siding. and trees. 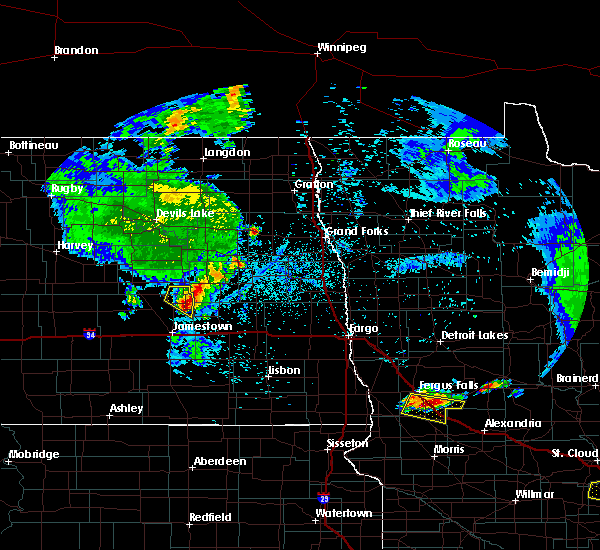 these severe storms will be near, wrightstown around 150 am cdt. 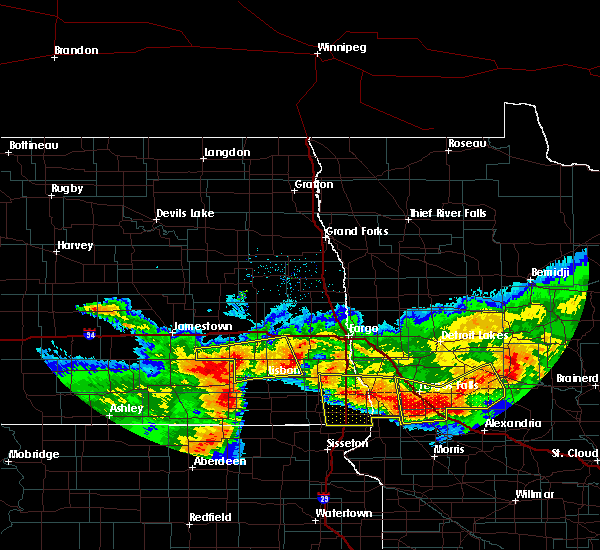 western around 155 am cdt. wendell and charlesville around 205 am cdt. elbow lake and barrett around 215 am cdt. Also includes interstate 94 in minnesota between mile markers 24 and 80. 7/21/2016 1:20 AM CDT At 120 am cdt, severe thunderstorms were located along a line extending from near nimrod to near ottertail to near brushvale, moving southeast at 45 mph (radar indicated). Hazards include 60 mph wind gusts and penny size hail. Expect damage to roofs. siding. and trees. severe thunderstorms will be near, henning, ottertail and blue grass around 125 am cdt. deer creek around 130 am cdt. almora around 135 am cdt. parkers prairie, staples airport and wrightstown around 140 am cdt. western around 145 am cdt. Also includes interstate 94 in minnesota between mile markers 24 and 80. 7/10/2016 2:04 AM CDT At 203 am cdt, severe thunderstorms were located along a line extending from foxhome to near wheaton, moving east at 50 mph (radar indicated). Hazards include 60 mph wind gusts and penny size hail. Expect damage to roofs. siding. and trees. these severe storms will be near, western around 210 am cdt. norcross around 220 am cdt. herman around 225 am cdt. ashby around 230 am cdt. Also includes interstate 94 in minnesota between mile markers 65 and 81. 7/10/2016 1:19 AM CDT At 117 am cdt, severe thunderstorms were located along a line extending from near tenney to near hoffman to near wrightstown, moving southeast at 35 mph (radar indicated). Hazards include 60 mph wind gusts and quarter size hail. Hail damage to vehicles is expected. expect wind damage to roofs, siding, and trees. 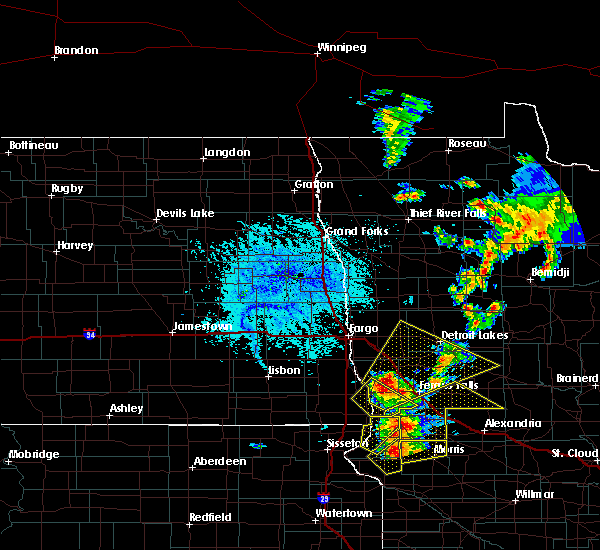 these severe storms will be near, hoffman, barrett and parkers prairie around 120 am cdt. Also includes interstate 94 in minnesota between mile markers 70 and 80. 7/10/2016 12:52 AM CDT At 1251 am cdt, severe thunderstorms were located along a line extending from 6 miles west of doran to near melby to 6 miles southeast of blue grass, moving south at 10 mph (radar indicated). Hazards include 60 mph wind gusts and quarter size hail. Hail damage to vehicles is expected. expect wind damage to roofs, siding, and trees. severe thunderstorms will be near, ashby around 1255 am cdt. verndale around 120 am cdt. 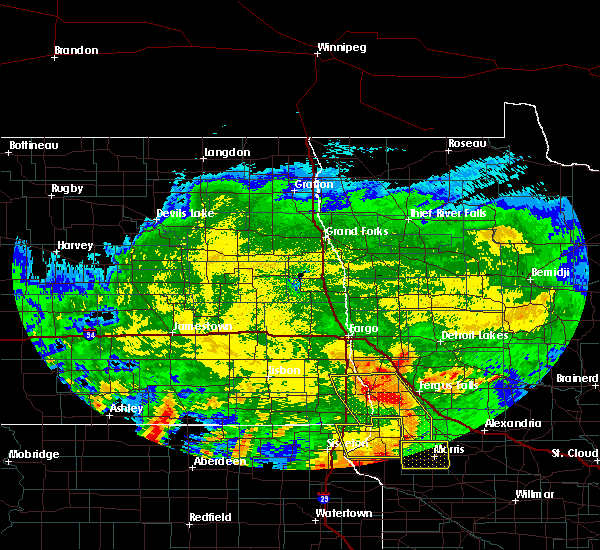 erdahl around 125 am cdt. 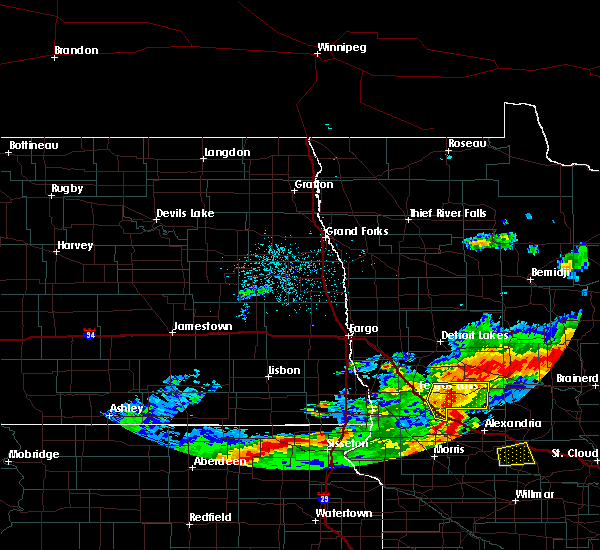 aldrich around 130 am cdt. staples airport and tenney around 135 am cdt. Also includes interstate 94 in minnesota between mile markers 63 and 80. 7/10/2016 12:30 AM CDT At 1230 am cdt, severe thunderstorms were located along a line extending from near deer creek to near clitherall to near western, moving southeast at 30 mph (radar indicated). Hazards include 60 mph wind gusts and quarter size hail. Hail damage to vehicles is expected. expect wind damage to roofs, siding, and trees. 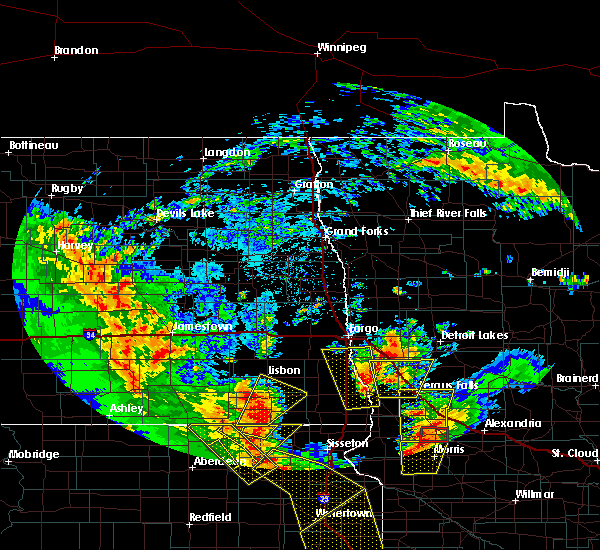 these severe storms will be near, vining around 1235 am cdt. 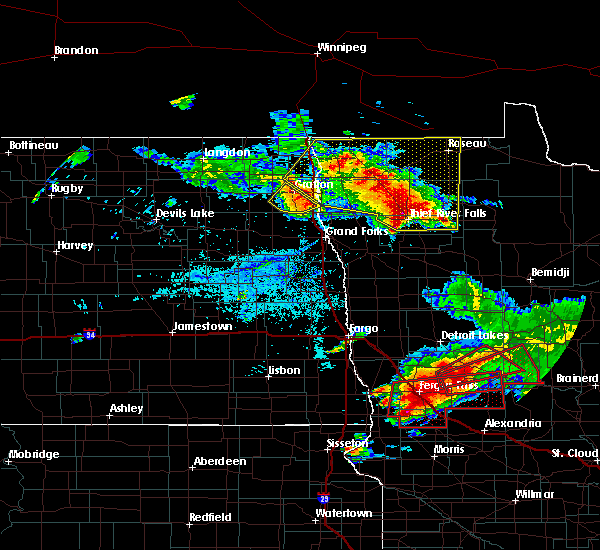 urbank around 1245 am cdt. elbow lake and wrightstown around 1255 am cdt. Also includes interstate 94 in minnesota between mile markers 43 and 80. 7/9/2016 11:55 PM CDT At 1155 pm cdt, severe thunderstorms were located along a line extending from near butler to near amor to near carlisle, moving southeast at 30 mph (radar indicated). Hazards include 60 mph wind gusts and quarter size hail. Hail damage to vehicles is expected. expect wind damage to roofs, siding, and trees. severe thunderstorms will be near, amor and phelps around 1200 am cdt. 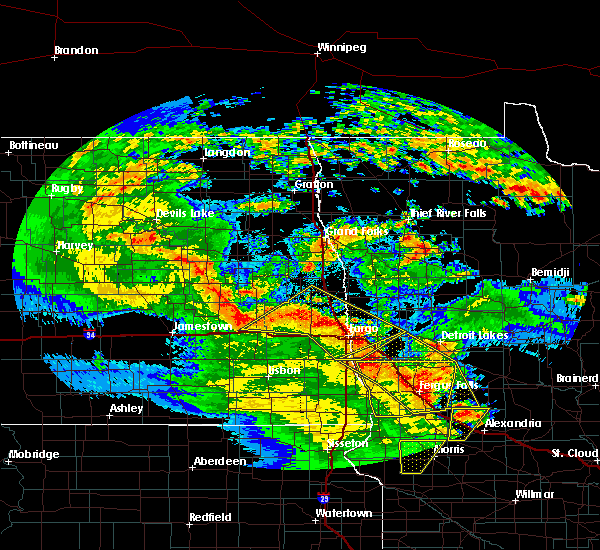 fergus falls, ottertail lake and underwood around 1210 am cdt. new york mills and battle lake around 1215 am cdt. clitherall around 1220 am cdt. bluffton and western around 1225 am cdt. Also includes interstate 94 in minnesota between mile markers 41 and 80. 6/17/2016 1:18 PM CDT At 118 pm cdt, severe thunderstorms were located along a line extending from bluffton to dalton, moving east at 20 mph (radar indicated). Hazards include 60 mph wind gusts and quarter size hail. Hail damage to vehicles is expected. expect wind damage to roofs, siding, and trees. severe thunderstorms will be near, bluffton around 120 pm cdt. 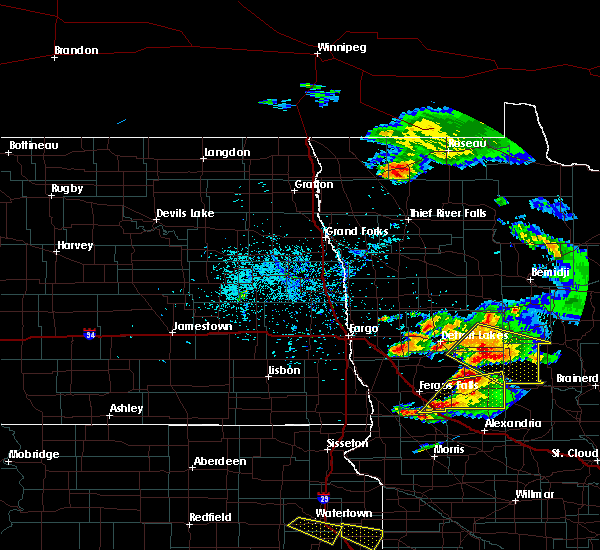 wadena around 130 pm cdt. blue grass around 140 pm cdt. verndale around 150 pm cdt. 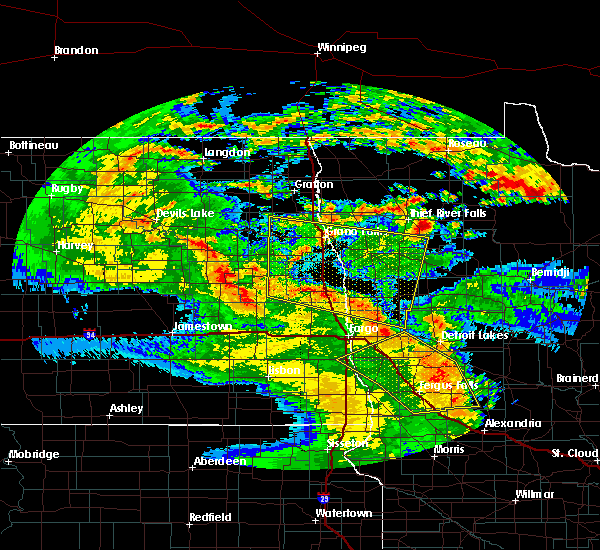 aldrich around 200 pm cdt. Also includes interstate 94 in minnesota between mile markers 61 and 80. 6/12/2016 3:50 PM CDT At 349 pm cdt, a severe thunderstorm was located over norcross, or 15 miles east of wheaton, moving east at 30 mph (radar indicated). Hazards include 70 mph wind gusts and half dollar size hail. Hail damage to vehicles is expected. expect considerable tree damage. wind damage is also likely to mobile homes, roofs, and outbuildings. 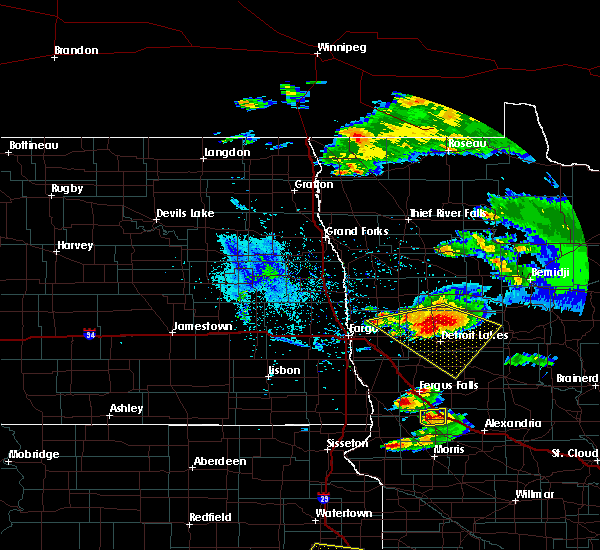 this severe storm will be near, elbow lake around 415 pm cdt. barrett around 420 pm cdt. hoffman around 425 pm cdt. 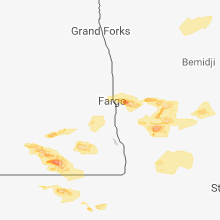 erdahl around 430 pm cdt. Also includes interstate 94 in minnesota between mile markers 60 and 80. 6/12/2016 3:23 PM CDT At 322 pm cdt, a severe thunderstorm was located near charlesville, or 11 miles northeast of wheaton, moving northeast at 40 mph (radar indicated). Hazards include 70 mph wind gusts and half dollar size hail. Hail damage to vehicles is expected. expect considerable tree damage. wind damage is also likely to mobile homes, roofs, and outbuildings. this severe thunderstorm will be near, norcross around 325 pm cdt. nashua around 330 pm cdt. wendell, elbow lake and western around 345 pm cdt. dalton and ashby around 405 pm cdt. underwood around 415 pm cdt. Also includes interstate 94 in minnesota between mile markers 60 and 80. 7/12/2015 11:41 PM CDT The severe thunderstorm warning for southwestern otter tail and northern grant counties will expire at 1145 pm cdt, the storm which prompted the warning has moved out of the area. therefore the warning will be allowed to expire. 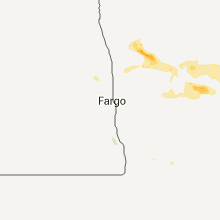 7/12/2015 11:21 PM CDT At 1121 pm cdt, a severe thunderstorm was located near dalton, or 13 miles southeast of fergus falls, moving east at 15 mph (radar indicated). Hazards include 60 mph wind gusts and quarter size hail. Hail damage to vehicles is expected. expect wind damage to roofs, siding and trees. this severe storm will be near, ashby around 1140 pm cdt. 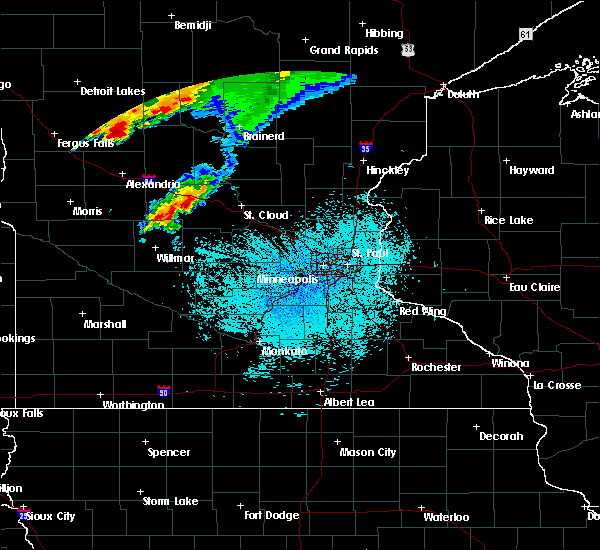 Erdahl around 1145 pm cdt. 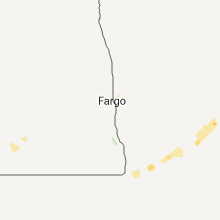 7/12/2015 10:50 PM CDT At 1049 pm cdt, a severe thunderstorm was located near dalton, or 8 miles south of fergus falls, moving east at 15 mph (radar indicated). Hazards include 60 mph wind gusts and half dollar size hail. Hail damage to vehicles is expected. expect wind damage to roofs, siding and trees. this severe thunderstorm will be near, dalton around 1110 pm cdt. ashby around 1140 pm cdt. 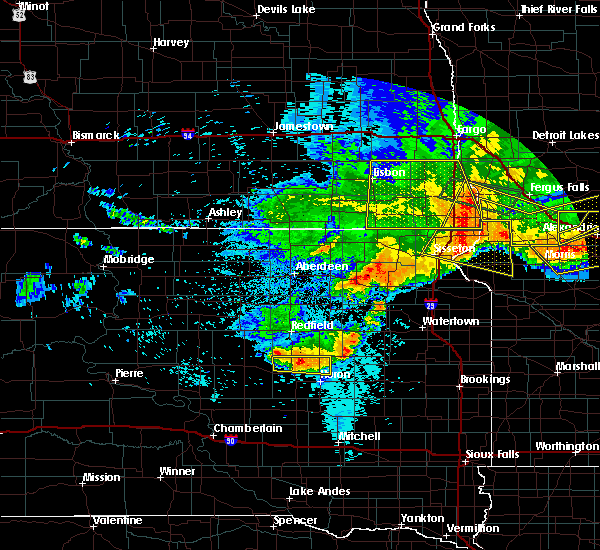 Erdahl around 1145 pm cdt. 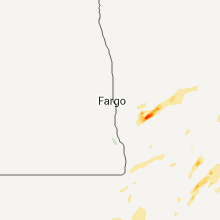 7/12/2015 6:47 PM CDT At 646 pm cdt, a severe thunderstorm capable of producing a tornado was located near erdahl, or 20 miles west of alexandria, moving east at 25 mph (radar indicated rotation). Hazards include tornado and ping pong ball size hail. Expect damage to mobile homes. roofs and vehicles. 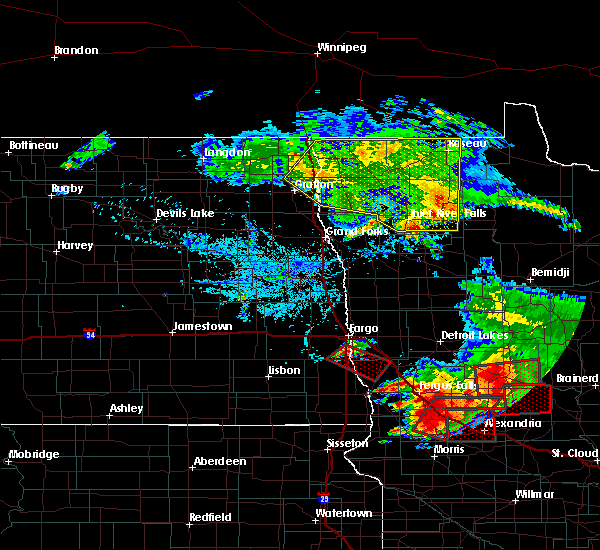 This tornadic thunderstorm will remain over mainly rural areas of southeastern otter tail and eastern grant counties. 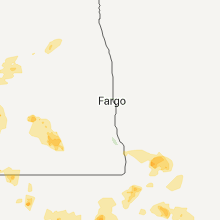 7/12/2015 6:28 PM CDT At 627 pm cdt, a severe thunderstorm capable of producing a tornado was located over elbow lake, or 22 miles south of fergus falls, moving east at 20 mph (radar indicated rotation). Hazards include tornado and ping pong ball size hail. Expect damage to mobile homes. roofs and vehicles. this dangerous storm will be near, barrett around 630 pm cdt. 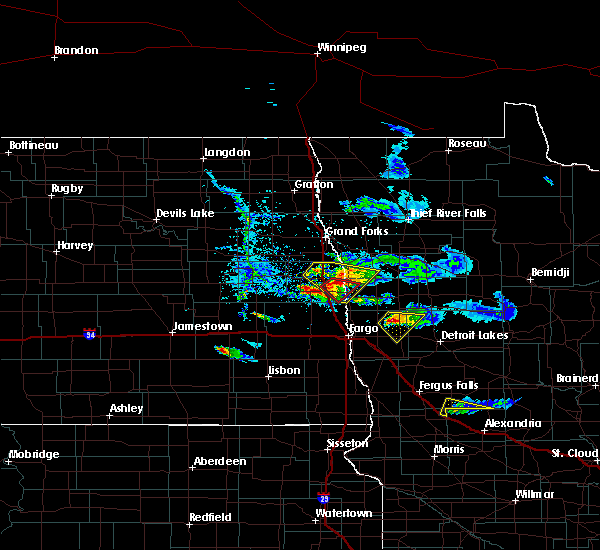 erdahl around 640 pm cdt. Ashby around 645 pm cdt. 7/12/2015 6:15 PM CDT At 615 pm cdt, severe thunderstorms capable of producing a tornado were located along a line extending from near dalton to 7 miles east of norcross, moving east at 20 mph (radar indicated rotation). Hazards include tornado and ping pong ball size hail. Expect damage to mobile homes. roofs and vehicles. these dangerous storms will be near, dalton and underwood around 620 pm cdt. ashby around 635 pm cdt. barrett around 640 pm cdt. 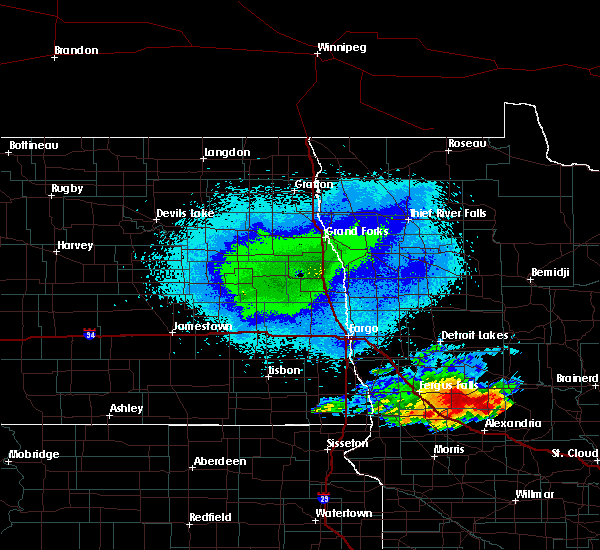 erdahl around 645 pm cdt. Hoffman and clitherall around 655 pm cdt. 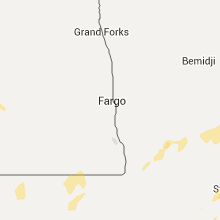 7/12/2015 5:53 PM CDT At 552 pm cdt, a confirmed tornado was located near wendell, or 11 miles south of fergus falls, moving east at 15 mph (weather spotters confirmed tornado near the grant county line in south central otter tail county). Hazards include tornado and golf ball size hail. Expect damage to mobile homes. roofs and vehicles. This tornado will be near, dalton and ashby around 615 pm cdt. 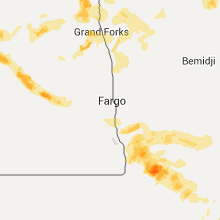 7/12/2015 5:37 PM CDT At 535 pm cdt, a confirmed tornado was located near fergus falls, moving east at 20 mph. 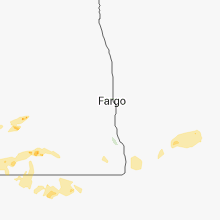 other tornados have been reported west and southwest of fergus falls and near the grant and otter tail county line (weather spotters confirmed tornado). Hazards include tornado and golf ball size hail. Expect damage to mobile homes. roofs and vehicles. the tornado will be near, dalton around 550 pm cdt. underwood around 555 pm cdt. phelps around 605 pm cdt. 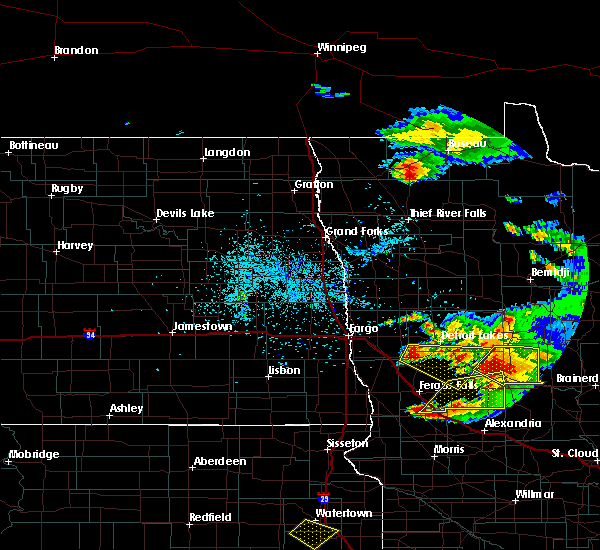 Battle lake, clitherall, southwestern ottertail lake and vining around 615 pm cdt. 7/12/2015 5:24 PM CDT At 523 pm cdt, a confirmed tornado was located near campbell, moving east at 20 mph (weather spotters confirmed tornado). Hazards include tornado and golf ball size hail. Expect damage to mobile homes. roofs and vehicles. this tornado will be near, fergus falls around 525 pm cdt. underwood and dalton around 530 pm cdt. clitherall and battle lake around 540 pm cdt. 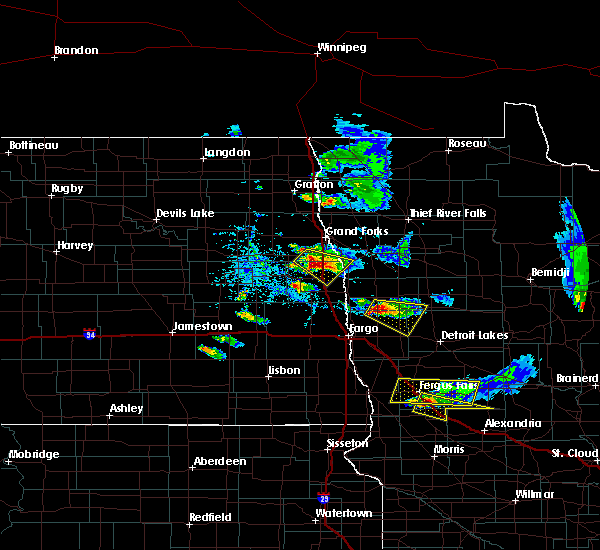 Henning, vining and almora around 545 pm cdt. 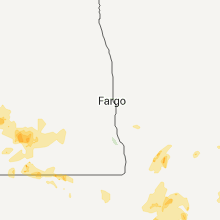 7/12/2015 5:07 PM CDT At 505 pm cdt, a severe thunderstorm capable of producing a tornado was located over western, or 10 miles southwest of fergus falls, moving east at 35 mph. this warning is for new development southwest of foxhome, where multiple reports are coming in of funnel clouds and rotating wall clouds. stor (radar indicated rotation). Hazards include tornado and quarter size hail. Expect damage to mobile homes. roofs and vehicles. this dangerous storm will be near, dalton around 515 pm cdt. underwood around 520 pm cdt. 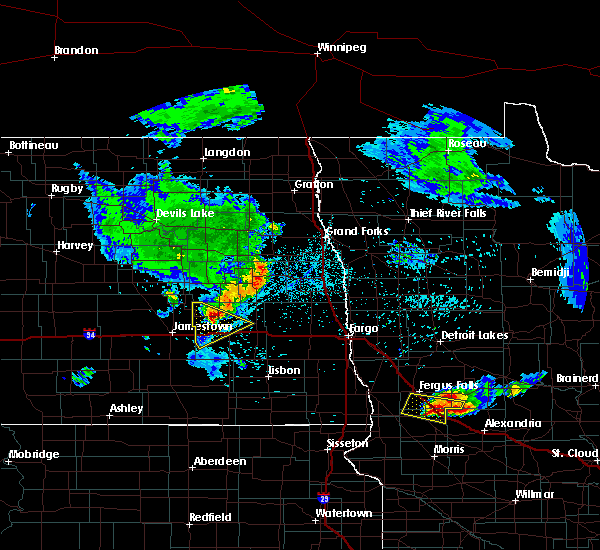 battle lake and southern ottertail lake around 525 pm cdt. clitherall and vining around 530 pm cdt. 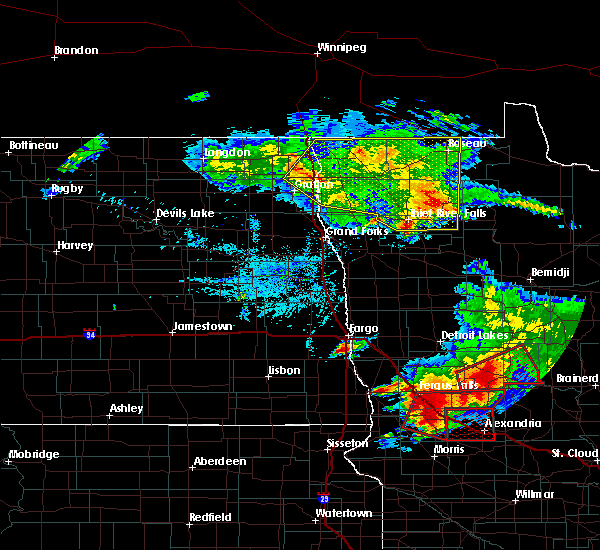 Henning and almora around 535 pm cdt. 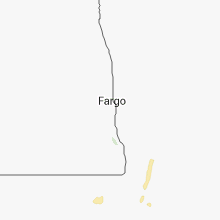 6/27/2015 9:21 PM CDT At 920 pm cdt, a severe thunderstorm capable of producing a tornado was located near erdahl, or 20 miles southeast of fergus falls, moving southeast at 40 mph (radar indicated rotation). Hazards include tornado. Expect damage to mobile homes. roofs and vehicles. 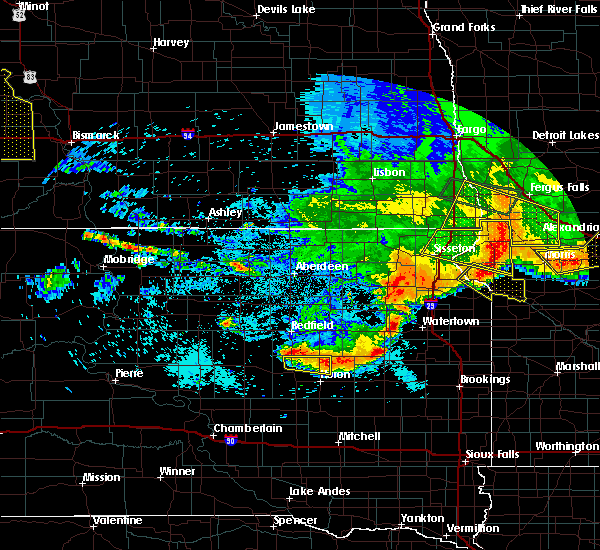 this dangerous storm will be near, erdahl around 925 pm cdt. barrett around 930 pm cdt. Hoffman around 940 pm cdt. 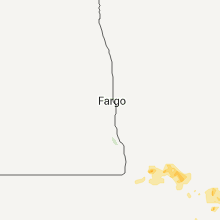 6/27/2015 9:08 PM CDT At 907 pm cdt, a severe thunderstorm capable of producing a tornado was located near dalton, or 11 miles south of fergus falls, moving southeast at 40 mph (radar indicated rotation). Hazards include tornado. Expect damage to mobile homes. roofs and vehicles. this dangerous storm will be near, elbow lake and ashby around 920 pm cdt. 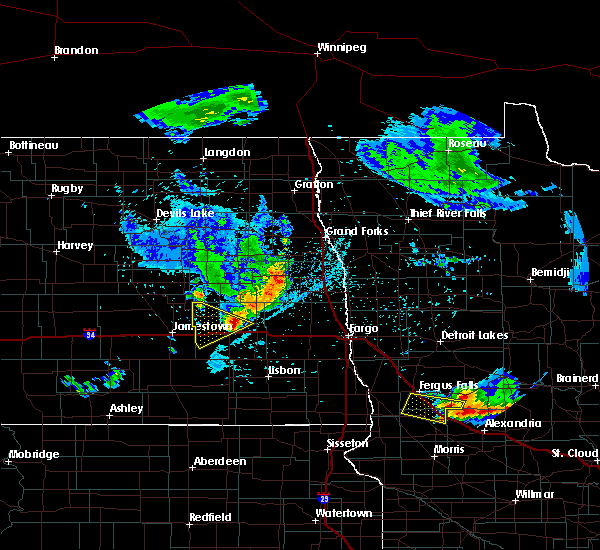 erdahl around 925 pm cdt. barrett around 930 pm cdt. Hoffman around 940 pm cdt.